Since I last shared my Prague adventures, I have celebrated my birthday in Berlin, made countless soccer freaks jealous for visiting Santiago Bernabeu in Madrid and Nou Camp in Barcelona, did yoga before the Mediterranean sea in Sicily, and feasted on ruins and pasta in Rome. However, as I finally returned to Den Haag, I realized that I have yet to properly experience Holland despite having been here for seven months. So, to make up for my lack of Dutch experience, I went to the Keukenhof today. 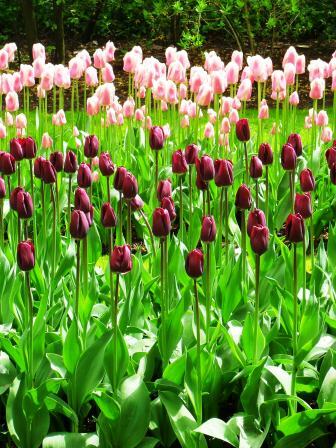 The Keukenhof is where you should go to see the pride and joy of the Dutch: the tulips. 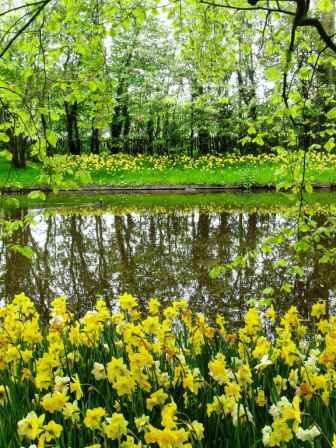 Located in Lisse, a small town about an hour away from Den Haag, it is a hunting ground-turned-flower garden that has been an icon of Holland since its opening in 1949. Stretching over 32 hectares, it is the world’s largest flower bulb garden and also the most photographed place in the world. 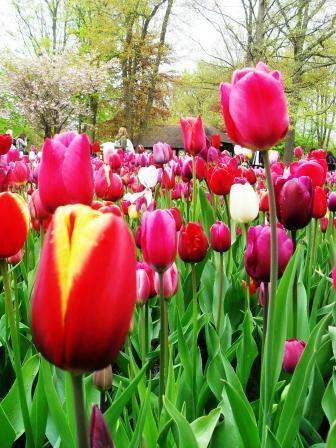 It is also home to 7 million flower bulbs, all planted by hand, 4.5 million of them are tulips in 100 varieties. Impressive stats, no? That, and the fact that is open to visitors only from late March to mid May every year, was why I thought I would finally have a taste of the quintessential Dutch experience in Keukenhof. And boy, we really had an authentic taste of Holland today. Nature, it seemed, sensed my wish and granted us with the typical Dutch weather or what I call the CRC: cloud, rain, and cold. 8 degrees in a May day in Holland is as normal as having the sun set in every day. But, we adapted well and whipped out our umbrellas, Mary Poppins style. Even the light shower and cloudy skies could not dampen the sensation of being around millions of flowers. In any weather, your eyes would feast on a banquet of colours and shapes. Yellow, orange, and red tulips grew next to each other, creating illusions of fire and heat that are tamed only by the canopy of a white cherry blossom tree. Hundreds of planted flowers were tweaked into a silhouette of St. Petersburg’s Church of the Savior on Blood. 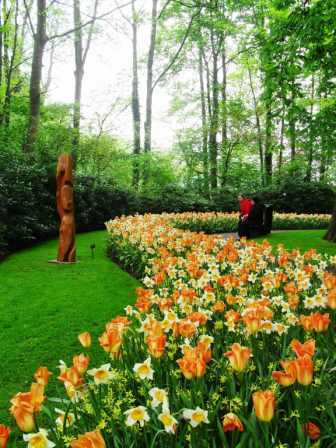 Keukenhof is a testament to the Dutch’s sense of aesthetics and a reminder why they are leading the global tulip market. But the rain actually brought the experience up a notch. The fresh smell of rain-kissed soil entangled with sweet floral scent floating about and raindrops on the velvety petals of the deep purple tulips reminded me of one of my bedtime stories, in which a fairy collects the dewdrops of the prettiest flowers and makes a fragrance for the fairy queen out of it. 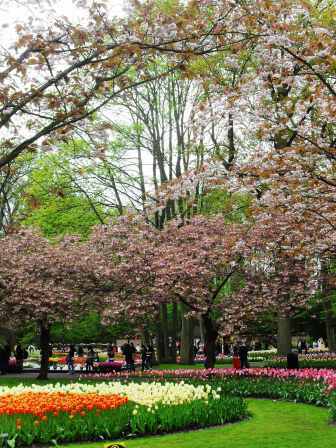 Flowers are the main course, but they are not the only thing Keukenhof has to offer. I suppose it understands that many of the visitors came in search of a remarkable Dutch encounter, so it is no surprise that you can find a windmill in one of its corners. Today, however, we had a special treat. 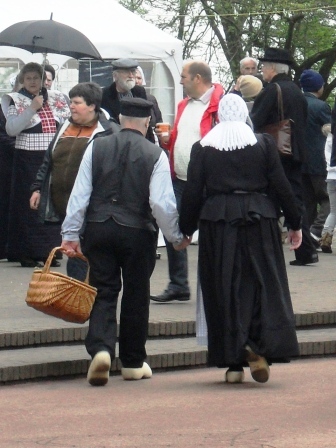 Hundreds of families came dressed in the Dutch traditional costume and klompen, the wooden clogs, from the villages of Volendam, Katwijk and Spakenburg. Not only were they happy to pose for the visitors (for free! 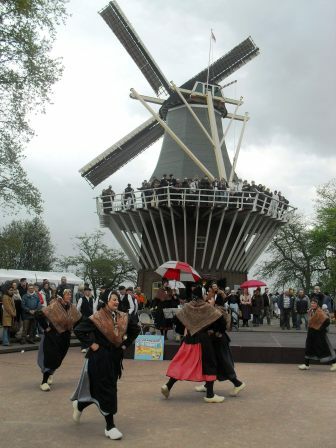 ), they also performed the Dutch square dance in front of the windmill! ... and the Dutch are making merry. There was only one thing left for us to do to wrap up our essential Dutch day. We must, at long last, tackle The Herring. 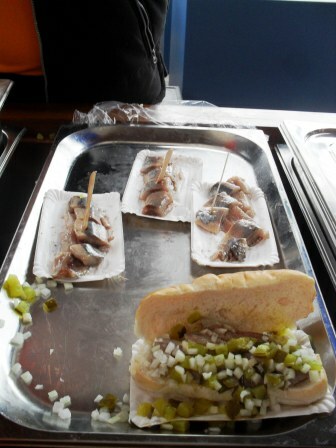 The Herring, whose proper name is Hollandse Nieuwe (Dutch New), is a typical Dutch fast food and a seasonal delicacy. It is basically raw herring caught in between mid spring and early summer, often eaten with pickles and raw onions. The proper way to eat this raw fish is to catch it by its tail and slowly let it slide into your throat, so understandably, this is not the most popular dish with us foreigners. Thank goodness the seller diced the fish for us! The verdict? 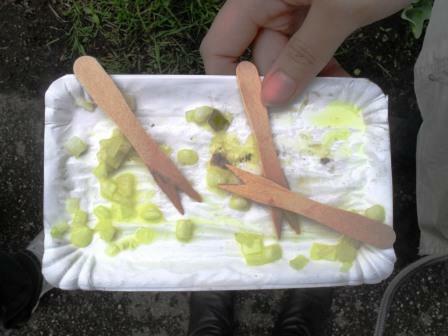 The Salsera thought it was too fishy and slimy. The Belerissimo, who does not discriminate against any type of food, said it actually tasted nice and ate most of our herring. I am used to sashimi and therefore did not find it too bad, but I would rather not eat it again and would never swallow it whole the proper way. After seven months of neglecting my host country, I am glad to finally say that all my senses have been treated to a Dutch experience. The eyes were overjoyed with the tulips, the skin felt how soft the petals were, the nose were blessed with the rainy spring day fragrance, the ears danced to traditional Dutch music tunes, and the tongue welcomed the slimy-salty sensation of the herring. Quintessential Dutch indeed. P.S: more abroad travel adventures will make its arrival once life and school ease up! 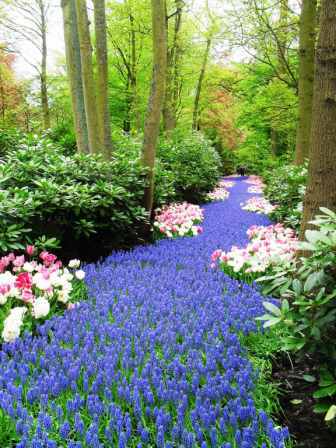 i miss the keukenhof. it’s one of those lovely places you can’t forget. and as you requested, i wrote a brief entry. i should really try to write more often. thanks for prodding me on!